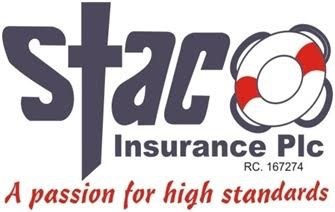 In a seemingly response to the news of infractions of some Insurance firms on the invitation by the House of Representatives sub-committee on Capital market, the Management of Staco Insurance Plc has denied the allegation of infractions and once again reiterated its commitment to professionalism being one of the core values of the organization and its determination to ensure compliance with the Industry codes of corporate governance. A statement by the its Ag. Managing Director, Bayo Fakorede, confirms that there is no iota of insider dealings in the company, adding that the inability of the Management to attend the meeting as scheduled by the House Committee was due to an unforeseen circumstances which was duly communicated to the Sub-Committee. “We have attended similar meetings in the past and thus would not intentionally make off from attending the scheduled meeting. The Management of the company confirms that it anchors her operations on high ethical standards which imbibes the principles of full disclosure, accountability, transparency and respect for stakeholders’ interest. “This has been the manner of dealings with all regulatory authorities and the stakeholders at large, which are enshrined in regular fillings of all mandatory reports. To underscore this assertion, the Board of Directors of the company has always been at the fore front of laying down proper and good corporate governance with best practices and ensuring that there is compliance with both external and internal rules guiding the operations of the company,” he said. He noted that as a responsible corporate citizen, the firm assures all its stakeholders, the insuring public and the shareholders in particular that there investment is safe and intact.